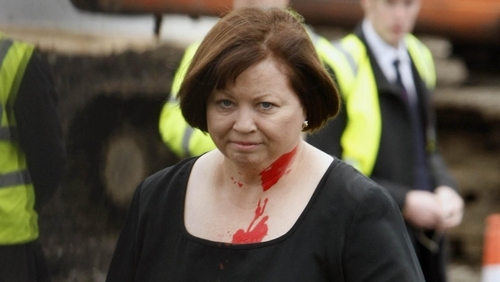 A councillor from the Éirígí party has been questioned by gardaí after red paint was thrown at Minister for Health Mary Harney at an event in Dublin. Local councillor Louise Minihan sprayed the minister with red paint as she was turning the sod at the site of the new Ballyfermot Primary Care and Mental Health Centre beside the Cherry Orchard Hospital. 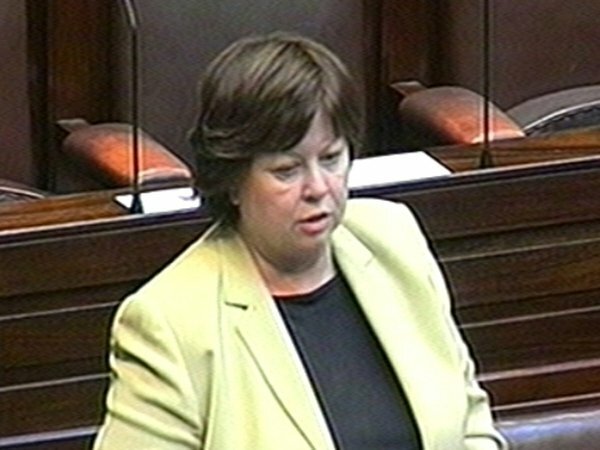 Ms Minihan was arrested and questioned by gardaí before being released this afternoon. Around 20 protestors had gathered in the area to demonstrate against planned health cuts. The minister continued with the event following the incident. The Taoiseach described it as unfortunate and said it serves no legitimate purpose. Brian Cowen said gardaí would deal with the issue.